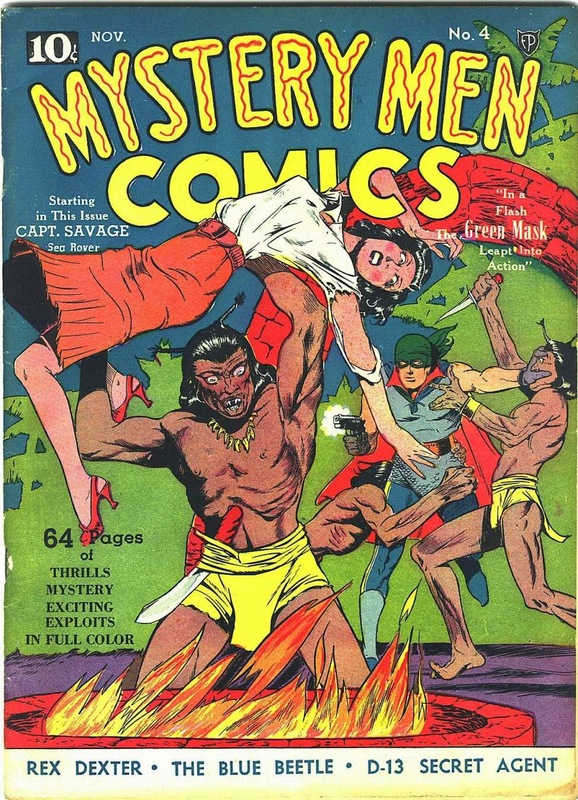 The Beetle's fourth adventure comes to us in MYSTERY MEN #4, November 1939. 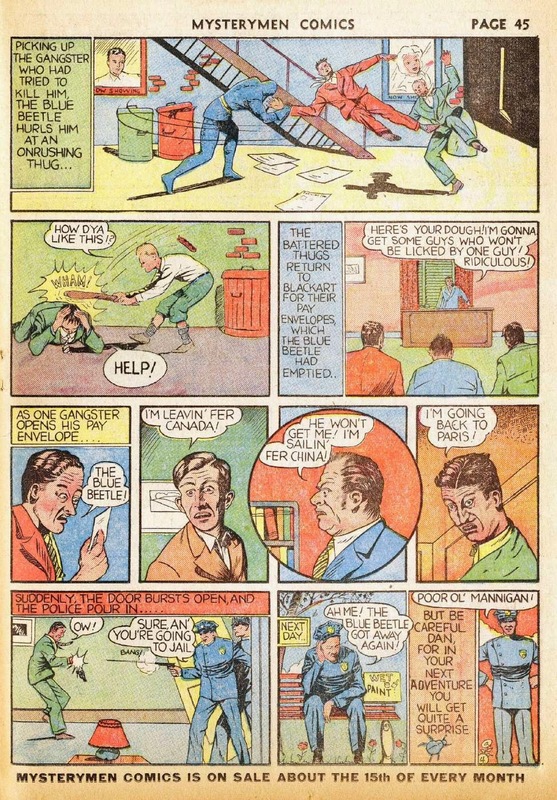 Once again by creator Charles Nicholas, and again with probable script by Will Eisner. This time BB takes on a protection racket targeting newspaper boys who stoop to levels so low that kids who refuse to pay are getting run down in the streets. Paperboy Tim/Tom is back but not mentioned by name. 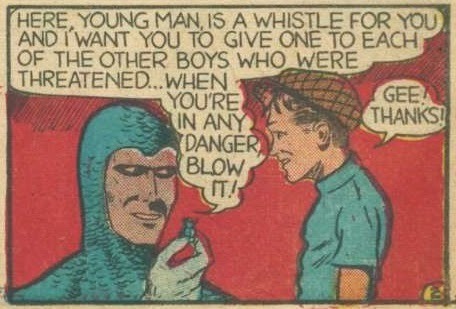 The Beetle breaks out another of his gadgets in this story (the first being a wireless mini-phone in his first story), beetle shaped whistles that he distributes among the paperboys for them to use to call upon him if they are in need. 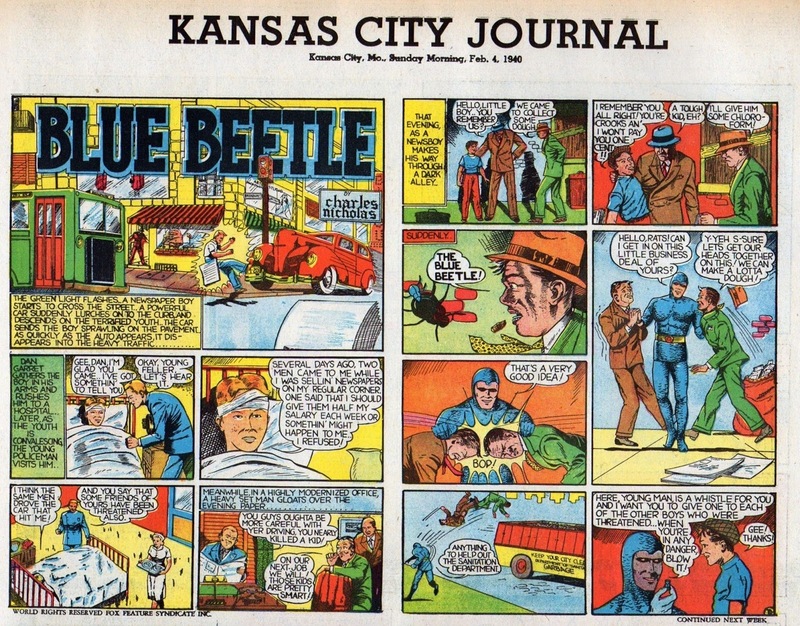 A costume change occurs for the fourth time, getting closer to what would become the standard uniform for the Beetle. 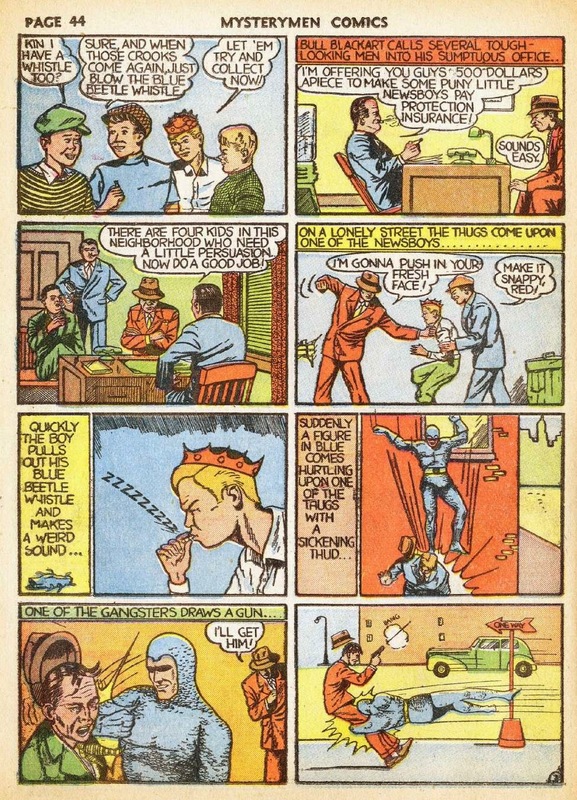 Gone are antennae,as well as the beetle symbol on the chest. 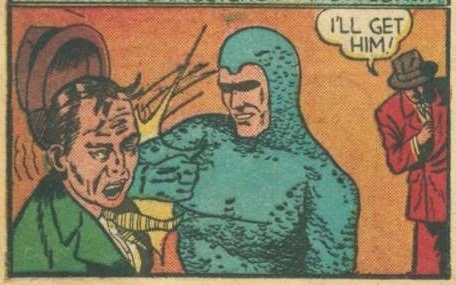 The chainmail makeup up the suit is clearly visible once again, and long sleeves have been added. The belt has been outfitted with a red buckle and a beetle emblem. 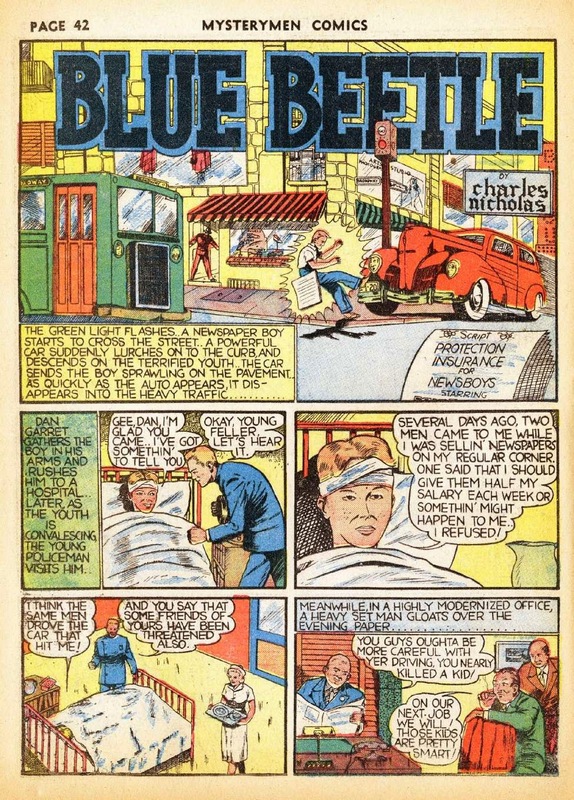 This story is reprinted just one month later in the Winter 1939/1940 BLUE BEETLE #1. 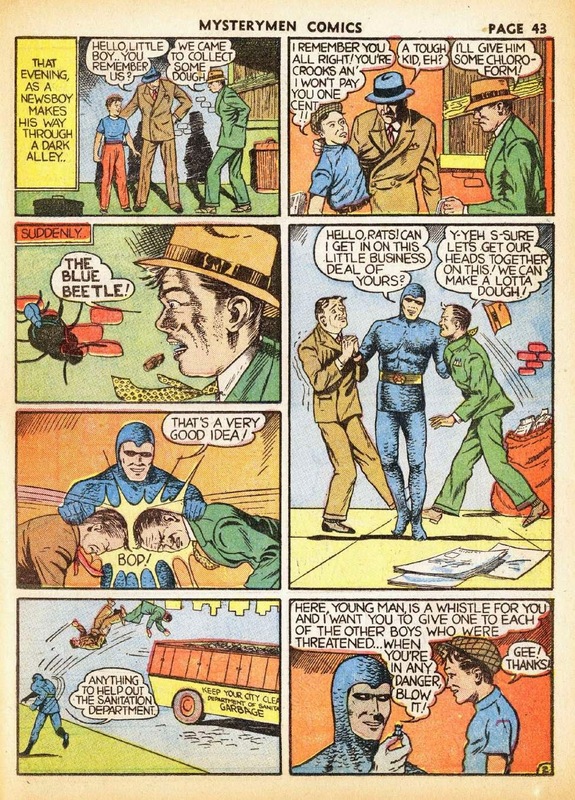 This story was cut and cropped for use in Fox's new Sunday color supplements.